YogaFit is a national yoga program created by health guru Beth Shaw in 1994. The school teaches traditional vinyasa-style poses (one breath, one movement) paired with sports science and alignment principles to ensure safe and effective exercise. For more information, visit YogaFit.com. This ancient art of movement coupled with regulated breathing brings a wide range of clinically proven benefits such as strength, balance, increased energy, concentration and awareness. Truly a martial art, all movements in tai chi have real defense applications, however they are practiced with slow, effortless grace and can therefore be enjoyed by any age group or level of ability. Our specific style, Pai Yang tai chi, includes long movement sets (forms); weapons training (primarily sword and fan); gentle stretching exercises; stance and posture work; several types of meditation; and slow sparring (push hands). Our school logo, at right, incorporates the traditional tai chi Yin & Yang symbol which represents balance, unity and harmony. It is combined with the Shaolin animal of the snake, representing the low, powerful stances and internal energy of our art. Together these ideals form our school, White Cobra Health Arts. Literally translated to “breath work”, chi kung or qigong uses deep breathing, focus and more subtle motion to manage stress and bring focus. The Pai Lum system includes various chi kung exercises ranging from soft energy to hard isometric tension of muscle. The circular, flowing movements of this Chinese martial art contrast with the more linear strikes of its Korean and Japanese counterparts, giving kung fu the benefit of continuous energy. Pai Lum or “White Dragon” Kung Fu utilizes low, powerful stances and waist whipping to add extra rooting and power to each technique, and includes movements of the five Shaolin animals – Tiger, Crane, Snake, Leopard and Dragon. Jon has been a registered Teacher Member of the White Lotus Association since 2014. The White Lotus Association is an organization of martial art schools of all disciplines seeking to promote the exchange of knowledge and skills of their arts and to promote the virtues of love, faith, honor and courage within their school. These values establish the ideal of all martial arts: “to be a warrior with compassion, seeking peace and protecting all in need. Our art follows the heritage of the Chinese Shaolin temple. Grandmaster Daniel K. Pai brought together several kung fu systems including his family’s style of kung fu, as well as Chinese kenpo and tai chi systems in what he called Pai Lum – the “White Dragon” Fist style. 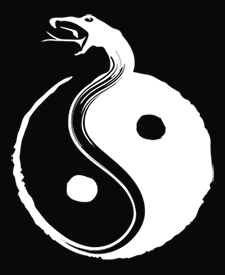 Find out more about the lineage of Pai Lum at the Rising Dragon Martial Arts website.